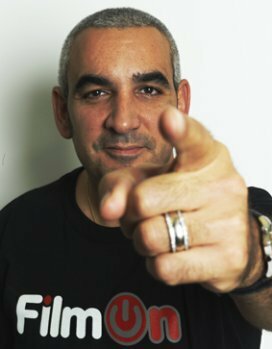 An irreverent commercial featuring Alki David, the controversial billionaire and founder of FilmOn.TV, has started airing in New York offering consumers five hundred live TV Channels as well as DVR storage space for free. The offering includes all the local Major Networks NBC CBS Fox and ABC as well as a wide range of premium US brands such as TMZ Live, Sesame Street, Nikleodeon, ESPN, MSNBC and Wall Street Journal. Also celebrity driven channels including Anderson Cooper and Chelsea Handler are included. A wide selection of Latin and International content is also freely available. The TV Ad campaign promotes the free FilmOn service to Consumers and the fact that they can watch live or record to remote DVRs. Consumers can watch shows live on mobile devices, PCs and Internet connected TVs or playback at a later time. “Although FilmOn is a World Wide the platform and is already serving geo-restricted local television in thirty major US markets including New York, New-Jersey, Connecticut, Chicago, Los Angeles, Dallas, Miami, Washington DC, San Francisco and Denver. Boston will be coming online next week and one additional city a week will be added thereafter”, said founder and CEO Alki David.